If no people get hurt, why does retail crime matter so much? It’s a question often asked about other perceived ‘victimless’ crimes, so we put it to an expert. 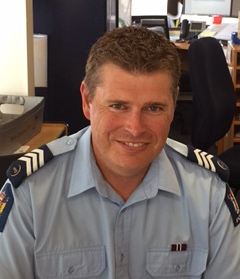 We asked Sergeant Matt Murray, Head of the Investigations Support Unit from Waitemata District Police, why retail crime matters to him, and how he’s approaching 2018. Q: Hi Matt! You’ve been focusing on retail crime a fair bit over the past year. Why does targeting retail crime in the community matter to you? A: There’s a common misperception that shoplifting is a ‘victimless crime’. While I understand there isn’t generally an individual ‘victim’ when someone steals from a business, I believe we’re all victims as a society when there’s high levels of retail crime. The cost of goods stolen from retailers is a cost borne by everyone through increased prices and shrinking profit margins, and that affects us all. A recent media article indicates retail crime costs the NZ economy more than $1.2 billion a year, meaning each household pays an extra $700.00 each year just to cover the cost of crime. That’s far too much. Organised retail crime is also becoming more prevalent, with evidence suggesting huge quantities of goods stolen from retailers that are on-sold through social media sites and personal transactions to members of the public or other businesses. As part of my current role I analyse retail crime offending. An area of concern is that recidivist retail crime offenders generally increase the frequency of their offending until they are apprehended. If recidivist retail offenders are not identified and targeted, I believe these offenders would continue to offend more and more frequently, thereby increasing the cost of retail crime to the economy and society. My team and I identify and target recidivist retail crime offenders with a focus on making an apprehension at the earliest opportunity to prevent further offending. Throughout 2017 we had some fantastic results and will continue this focus through 2018 in an attempt to reduce retail crime and the cost incurred by all of society. Q: What have you learned from working so closely with the retail community? A: Through my team’s focus on reducing and preventing retail crime over the past 12 months, we’ve collaborated with multiple retailers to identify and apprehend a number of recidivist retail crime offenders. One thing I’ve learnt is there’s a real willingness from retailers to collaborate with Police to combat retail crime. I’ve also learnt there’s a significant amount of knowledge held by retailers—particularly amongst loss prevention staff. Looking forward I intend to strengthen these relationships and work further with loss prevention staff to identify and apprehend retail crime offenders across the Waitemata policing district. Q: How will you improve your results this year over last? A: While my team achieved some fantastic results throughout 2017, I believe there is room for improvement in 2018. We’ll continue our focus on retail crime and further collaborate with retailers to build on last year’s results. We’re also preparing an initiative to trial that should result in the laying of more serious criminal charges against the most prolific retail crime offenders to hold them to account for organised retail crime offences.